Do you remember Chris Columbus’s classic holiday movie Home Alone in which the McAllister family forgets eight year old mischievous Kevin at home in their holiday rush to get to the airport? Slightly exaggerated, but a strong representation of the exhausting lifestyles of a large majority of people who live in work-oriented cultures like those of Europe and America. Countering that is the happy-go-lucky Weasley family from the Harry Potter movies who incorporate the concept of family into everything, from their dinner table to their back-to-school shopping sprees, and of course into their holidays. As the year comes to a close, the holiday season begins. Let us review some practical advice from a wannabe family specialist, a.k.a. the Abbie that is me, from my sweet and sour experiences. There is nothing better than happy, peaceful, productive, Sunnah-style family time during the holiday season. Bonds of kin, that is family, are held in high regard in Islam. 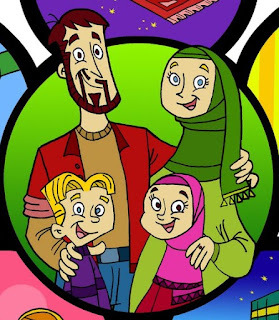 A family unit is considered to be the building block of an Islamic community. Prophet Muhammad sal Allaahu alayhi wasallam was a tradesman who traveled with caravans all day in the sultry desert heat. He was also Allah's subhaanahu wa ta’ala Messenger who preached to believers day and night. Yet, he managed his family life so beautifully that we have the sunnah (his lifestyle) as an example before us. He had allotted days to his wives so that none of them were neglected, and he was good-humored, playful, and kind to his children. Allah subhaanahu wa ta’ala exalted the ahlul-bayt (members of his household) and from this we understand the beautiful concept of family. Make Time! Rummage the Bank! Rushed lifestyles, work overload, lengthy commutes to work and school, chores, and the exhausting grind of life have successfully managed to crush the concept of family for many of us. In work-oriented cultures, family time is a rare treat. Always plan ahead. Contemporary times have given us smartphones which keep track of our lives for us nowadays. Set reminders so you know you have holidays coming up and you need to get your family act together. It is advisable that you check up on your finances to see how much you can spend on the holidays. You can choose to travel, or stay back to enjoy being at home with your family. Apply for extra leave from work if your plans are longer. There is the immediate family, i.e. parents and children and then the distant family. The true holiday spirit and the teachings of Islam prescribe that you should be thinking on both levels. Family bonds can best be reestablished during the holiday season when people have free time, especially those people who run about due to their school-going children. It is ideal to plan trips, family feasts, reunions, sleepovers, shopping sprees, cook-outs, and whatever creative quality times you can conjure up. People tend to be great misers when it comes to giving gifts. They try delaying occasions, waiting for the right moment, to give gifts. They should think again, because the only thing that they are delaying is charity. 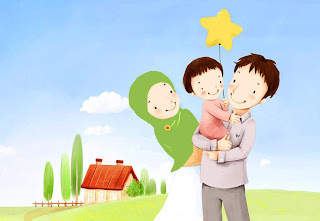 Prophet Muhammad sal Allaahu alayhi wasallam, in a hadith narrated by Abu Mas’ud Al-Ansari, said that: “When a Muslim spends something on his family intending to receive Allah’s reward it is regarded as Sadaqa for him.” (Hadith 263, Volume 7, Book 64, Sahih Bukhari). So, whether it is a trip you are planning, a feast you are organizing, or gifts you are buying, you are actually doing an act of charity in Allah’s cause. When families get together, especially “desi” or brown families i.e. those of Indian and Pakistani origins, they are bound to trigger World War III. This is because Shaytaan walks in from the same door that the family walks in from. As family talks heat up, gossip and rumors begin to boil up, family politics begin to fizz, and before you know it, there is a super massive volcano of resentment erupting in your living room! Save the sofas! A productive gathering on holidays is something that engages family in activities that solidify the meaning of kinship. You can always attempt to neutralize conversations, change the topic, or introduce ice cream to seize the fitnah there and then. Also, try and keep non-Muslim elements away from your parties. For instance, if it is Christmas, it does not mean you have to set up a Christmas tree. Keeping the family holiday innovation-free is a responsibility. There is always a villainous side in everybody’s family. The side where people are sour, cold, and very difficult to deal with. They should not be abandoned entirely, but everyone needs to understand how to deal with one another. My distant family does not entirely comprise of practising Muslims. My mother, sister, and I became accustomed to being ridiculed for our hijabs and my brother for his beard, at the family reunions. Also, the food is not always entirely Halal when you go right down to the meat and cheese and bits. “Oh! So he doesn’t sit with female cousins anymore, does he?” called out an aunt as my brother made a sober exit to sit with the boys. “What are these? At least don’t move to these extremes!” commented another aunt, pulling at my sleeve extensions that covered my wrists. Funny as the comments may sound, they were not intended to be jokes, but sarcastic insults. An uncle is fond of yelling out “Molvi!” at my brother every once in a while. The word means an Imam in Urdu, but his manner of addressing is derogatory, not funny, and invites mockery. Heartbroken, angry, and confused, I remember writing to Sheikh Navaid Aziz about this matter who strictly advised that unless such members of the family develop a mature attitude, they should be avoided. He also advised that alternative means of communication such as email greetings and phone calls should be maintained meanwhile and occasionally when one does visit they should respond with silence and exercise sabr (patience). Family is the only unconditional love you are going to get, so make the most of it whenever you get time. Thanksgiving and Christmas are not Muslim festivals; however, they do bring in long weekends and additional holidays. Christmas, in particular, combines with the New Year’s holiday to make a grand winter celebration. The off days are an ideal opportunity when you can give undivided attention to your family, relax, and cherish the blessings of togetherness you have been gifted. If you are creative, family-oriented, and you know the Sunnah, you would know how to plan a great family holiday. Now it is your turn. Write your own adventurous story. 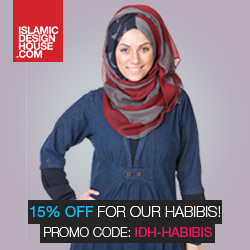 Ma sha Allaah! Lovely heartwarming article. I tend to agree with all you have said, we do need lots n lots of patience with extended family. MashaAllah,beautiful advice and very interesting tips , there is Xmas holidays coming up and inshaallah i am looking forward to spend time with my kids ...my Allah guide your uncles and aunties to the straight path inshaAllah.and bless your family. Make dua for them and leave it to Allah..